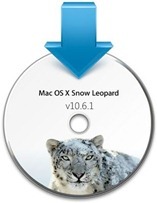 Apple has announced the roll out of v10.6.1 Update for their existing OS X Snow Leopard users. 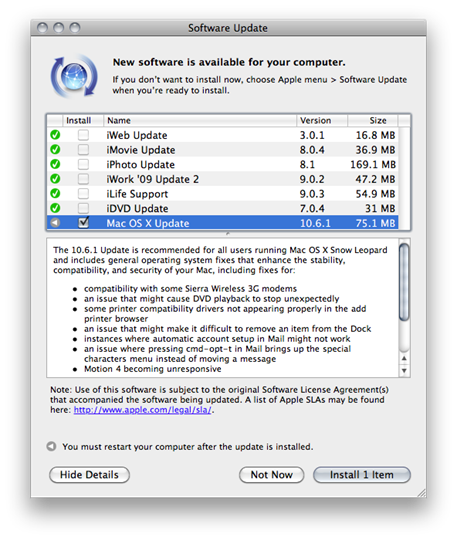 This new Mac OS X v10.6.1 Update is recommended for all the current Mac OS X v10.6 Snow Leopard users and includes general operating system fixes that enhance the stability, compatibility and security of your Mac. The new Mac OS X v10.6.1 update can be downloaded and installed from Software Update in OS X or optionally from the standalone installer through the download link given below. I have Vista but wanna use mac os x 10.6.1 how to get mac on my computer ?